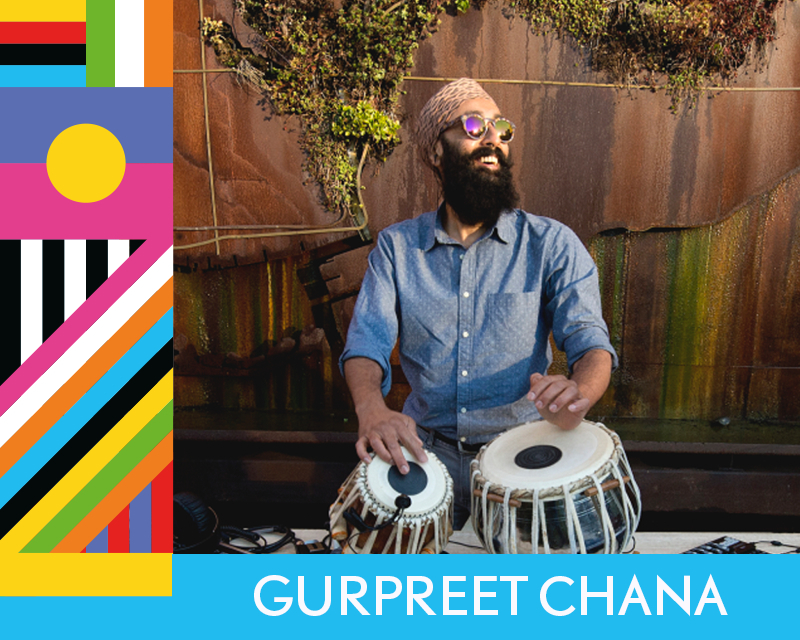 A musician, technician, composer and performer, Gurpreet and his music juxtaposes the time-honoured tradition of the tabla with a dizzying array of musical styles. Weaving the hypnotic sounds of the tabla drum into the fabric of various music, he spreads its rhythmic pulse like a meme with each fresh cultural integration. TABLIX is your invitation to experience contemporary electronic music culture from the perspective of one of Canada’s most sought-after tabla players. An exploration of the melodic potential of the tabla, TABLIX blends the ergonomics and sounds of a time-honoured tabla tradition with the infinite possibilities of the digital to create a new mode of artistic expression. Note: Admission also includes LAL performance.